The 2017 Michigan Battle of the Buildings Energy Summit is a full day conference & award ceremony, hosting building owners and operators from across the State of Michigan. We hope you will join us to learn, network and celebrate the 2016 Michigan battle competitors. 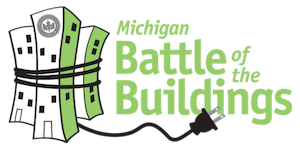 Each year the summit celebrates Michigan Battle of the Buildings competitors attracting more than 175 professionals with an interest in increasing the energy efficiency of their buildings. Do you have a story to share? If so, please submit your speaker abstract HERE. Call for speakers open until Friday, February 3, 2016.